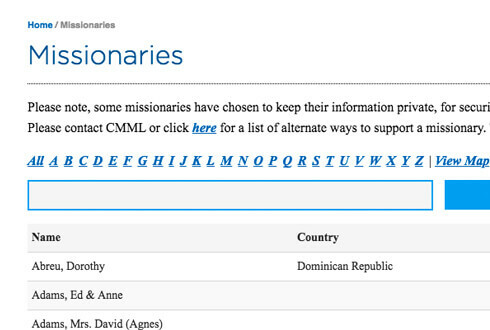 Christian Missions In Many Lands (CMML) was established in 1921 as a nonprofit, faith-based service organization to serve missionaries from the United States serving in cross-cultural missions overseas. 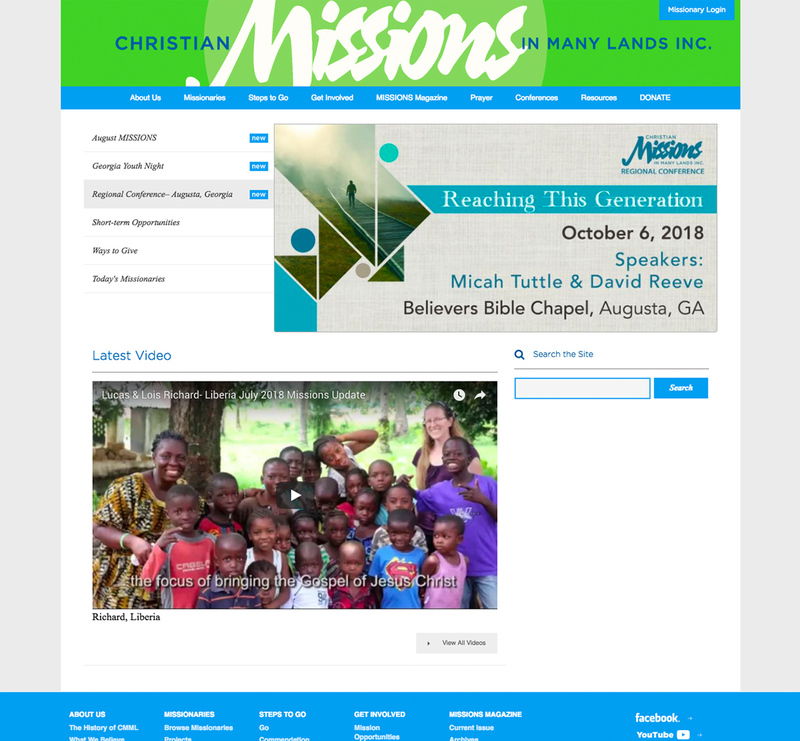 We worked with CMML to build a webite to serve as a promotional and communications tool to connect with hundreds of missionaries and allow supporters to connect with them as they are serving around the globe. 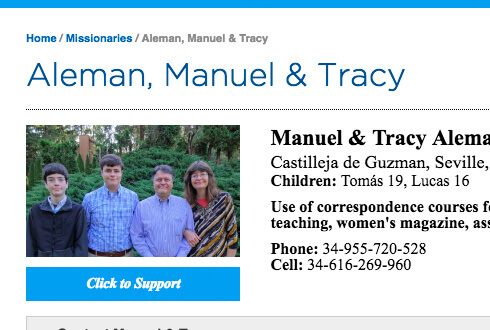 Missionaries have full control over their profile and can receive donations through the site to support their work. Let's get started! Send us a message.